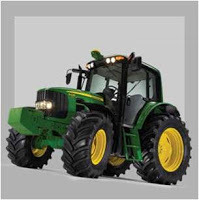 Farm machinery is machinery manufactured in farming or other agribusiness. There are the new agricultural machines available to farmers. Agricultural machines with their names and uses. The following is the use of machines in doing various types of work depending on their functions. The second of farm machinery in agriculture is sprayer, as like as blowersprayer and agricultural aircraftsprayer. A sprayer is a piece of agricultural equipment used primarily to apply herbicides, pesticides and fertilizers to agricultural crops. The third of farm machinery in agriculture is combines. A combine is a machine that "combines" the tasks of harvesting, threshing, and cleaning grain plants. Read also How a Combine Harvester Works. The fourth of farm machinery in agriculture is cotton harvester. A cotton harvester is a machine that automates cotton harvesting. Mechanical cotton harvesters are of two types: strippers and pickers. The fifth of farm machinery in agriculture is field cultivator. 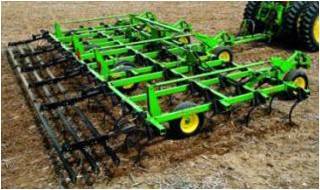 A field cultivator is a farm implement for stirring and pulverizing the soil, either before planting or to remove weeds and to aerate and loosen the soil after the crop has begun to grow. The main function of the field cultivator is to prepare a proper seedbed for the crop to be planted into, to bury crop residue in the soil (helping to warm the soil before planting), to control weeds, and to mix and incorporate the soil to ensure the growing crop has enough water and nutrients to grow well during the growing season. The sixth of farm machinery in agriculture are cutters and shredders. Cutters and shredders are farming implements used to “cut or shred” unwanted weeds or other vegetative growth. The seventh of farm machinery in agriculture is ATV. The term "All-Terrain Vehicle" or ATV is used in a general sense to describe any of a number of small open motorized buggies and tricycles designed for off-road use. The eight of farm machinery in agriculture is wheel tractor-scrapper. A wheel tractor-scraper is a piece of heavy equipment used for earthmoving. These can made available as per farmer’s crop pattern also. Theses are suitable for weed removing operation in crop row of width 1.5’ and above. 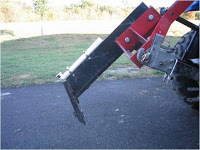 It remove weed from roots 1.5 to 2” deep, Scraper blade sharp edge cut removed weeds in to small pieces and due to rotary motion, it get buried in to soil. Thus improve soil condition by adding green manure. The ninth of farm machinery in agriculture are planters and seeders. Planters and seeders are mechanical devices that automatically plants seeds in the ground. The tenth of farm machinery in agriculture is plow. A plow is a tool used in farming for initial cultivation of soil in preparation for sowing seed or planting. The eleventh of farm machinery in agriculture is baler. A baler is a piece of farm machinery that is used to compress a cut, raked, crop (such as hay or straw) into bales and bind the bales with twine, and compact bales that are easy to handle, transport and store. See also Case IH Round Balers for Sale. The twelfth of farm machinery in agriculture is reaper-binder. The binder was a farm implement that improved upon the reaper. In addition to cutting the small-grain crop, it would also tie the stems into small bundles, or sheaves. The fourteenth of farm machinery is loader. The A loader, also called a front loader, front end loader, bucket loader, scoop loader or shovel, is a type of tractor, usually wheeled, that uses a wide square tilting bucket on the end of movable arms to lift and move material. The fifteenth of farm machinery in agriculture is skid loader. 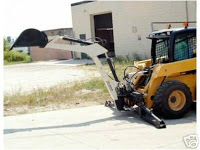 A Skid loader or skid-steer loader is a rigid frame, engine-powered machine with lift arms used to attach a wide variety of labor-saving tools or attachments. The sixteenth of farm machinery in agriculture is subsoiler. A subsoiler is a tractor mounted implement used to loosen and break up soil at depths below the level of a traditional disk harrow or rototiller. The seventeenth of farm machinery is harrow. A harrow is an implement for cultivating the surface of the soil. A harrow (often called a set of harrows in a plurale tantum sense) is an implement for breaking up and smoothing out the surface of the soil. In this way it is distinct in its effect from the plough, which is used for deeper tillage. The eighteenth of farm machinery is rotary tiller. 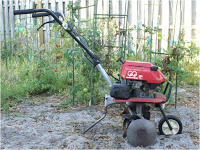 A rotary tiller is a motorized cultivator that works the soil by means of rotating blades. The nineteenth of farm machinery is huller. 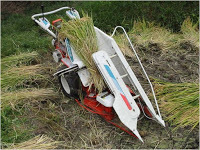 A huller (or called rice husker) is a kind of agricultural machinery to hull the rice. The twentieth of farm machinery in agriculture is grain cart. A grain cart is an implement that is used to transfer grains from one implement to another implement. 1 Response to "Lists of Farm Machinery in Agriculture"